Welcome to the APERS Retired Members Page. Here we hope to provide information that will help you make the most of your retirement benefits. Learn more about adjusting your tax withholding, showing proof of your income, changing beneficiaries, returning to work, and dealing with other situations that may arise. Deposits are made on the first work day of each month. If the first falls on a holiday or weekend, deposits are made the next official work day. 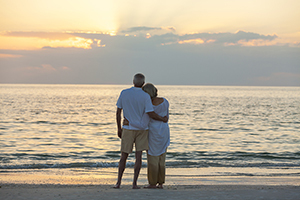 Retirees (including participants of the Deferred Retirement Option Plan (DROP)) receive an annaul 3 percent cost-of-living increase in their retirement benefit on July 1 of each year once they have been retired or participated in the DROP for twelve months. You can stop, start, or adjust federal and state withholding on your retirement income. Members should contact the Call Center if they need a tax withholding change forms or they can make the change on the Member Self Service portal. If you need to document your retirement income for a loan application, etc., you can submit a Verification of Benefits request using the form available for download here. Always notify APERS in writing immediately if your marital status changes (you marry, divorce, remarry, or suffer the death of a spouse). A change in your marital status could affect your retirement benefits and beneficiary designations. Such a change may allow you to change your beneficiaries. Send us a secure message through the members portal or mail or fax a signed notification. Contact APERS with any questions. A QDRO is an order issued by a divorce court making a former spouse an "alternate payee" with the right to receive all or part of a member's retirement benefits. Click here to download the QDRO Language Model for Retired Members. For more information, see FAQ: QDRO. Once you begin receiving APERS retirement benefits, you may be subject to restrictions on when or if you can return to work in APERS-covered employment. For more information, see FAQ: Returning to Work After Retiring.